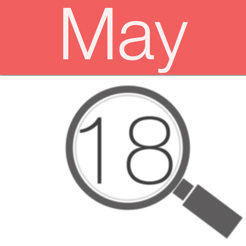 Can't you find some important events in your default calendar which has happened more than one year ago? Find Events will help you! You can search your entire Calendar database without time limits, just set the Start date and the interval in Search Options. 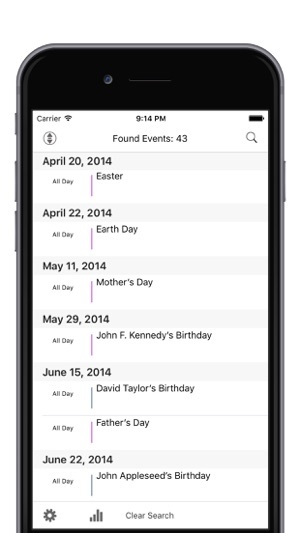 View your found events within the app or open it with the built-in Calendar. 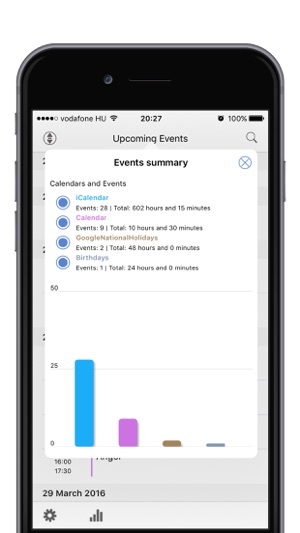 In the Events Summary you can view all listed events and the total hours in a bar chart. 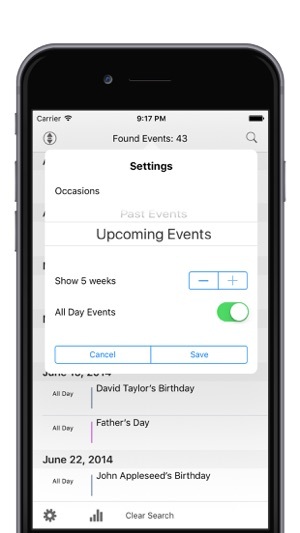 During search the application will examine all your events within your Calendar database, and makes a list if the found event title or notes contain the searched text. If you have too many results, you can easily scroll down the list by tapping the Scroll icon on the left corner. Thank You for using Find Events! Some of your suggestions and reported issues were included in this update. 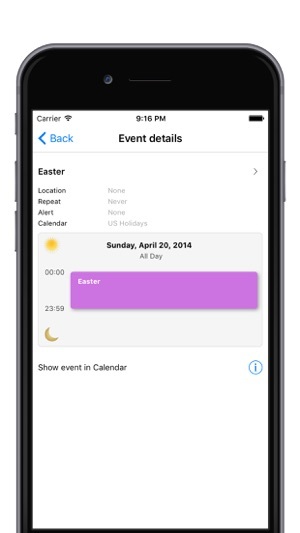 - New Event Summary that shows all listed events and the total hours in a bar chart. - Fixed a couple of localization bugs and made some enhancements in the Event search method. Thank all of your reports and suggestions, hope you'll enjoy this update.